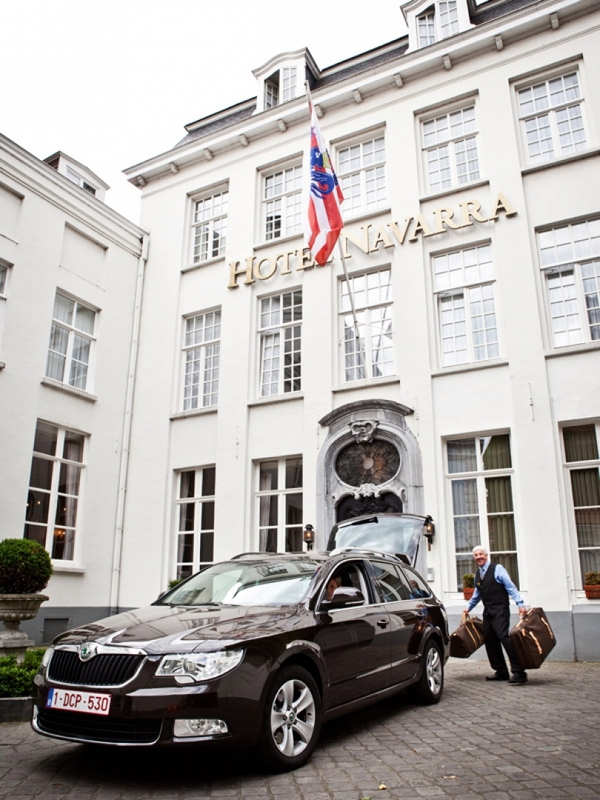 If you are booking a hotel stay at Hotel Navarra Bruges, you will enjoy all the advantages of an adjoining private car park in the centre of Bruges. When you arrive, we will immediately check availability on our hotel parking. Alternatively, we will refer you to a nearby public (underground) car park for an easy start to your city break or business visit. Hotels with parking are a rarity in Bruges. Fortunately, Hotel Navarra is one of the few hotels in the city centre with private parking for about 30 cars on its doorstep. Parking reservation is not possible. We will check the availability of the hotel parking upon your arrival. The private car park of our hotel in Bruges costs €17 per night. 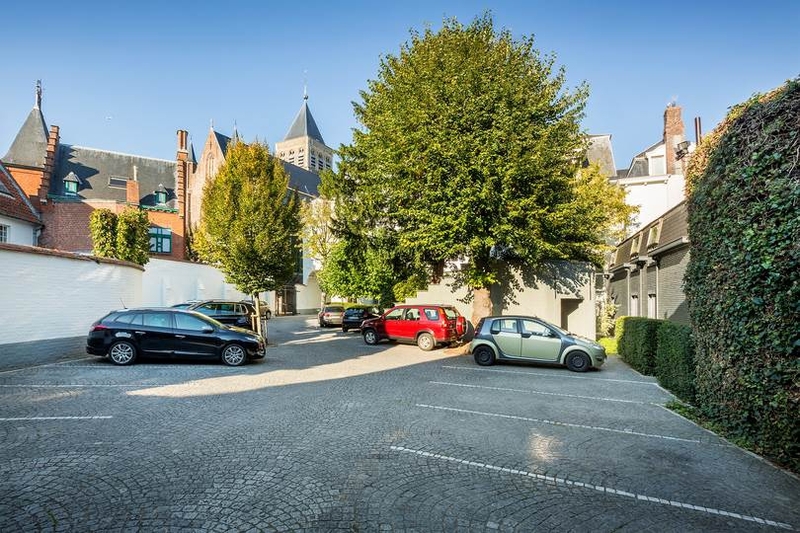 If our own hotel parking is full, you can still park at one of the public car parks in the centre of Bruges. Underground car park ‘De Biekorf’ is located at only 50 m from the hotel and can accommodate 280 cars. There are also many other public car parks in Bruges, so you will have no problem parking your car in a safe place during your stay in the city. 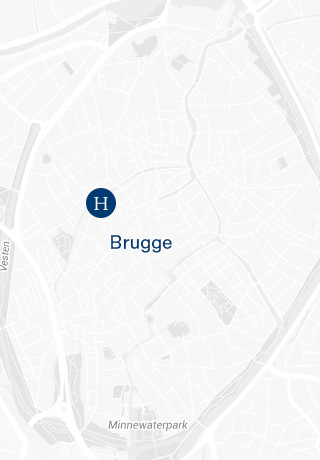 If you are travelling to our hotel in Bruges by coach, you can alight and get your luggage at the pick-up and drop-off point in front of the hotel. The driver can then leave the coach at the coach park near the train station. Although our hotel in Bruges has a private car park, many guests travel to Bruges by train, plane or coach. Hotel Navarra is situated right in the heart of the city, but is easily accessible. If you are travelling by train, a city bus or taxi can get you to the hotel in just 10 minutes. 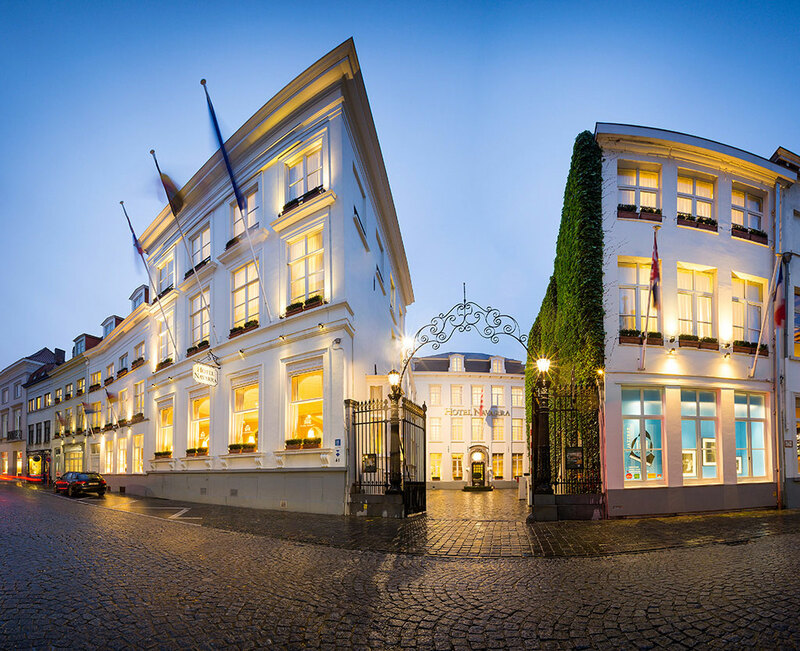 If you want to stay near the market square, the famous Belfry Tower and the other main places of interest in Bruges and you want to travel by car, visit Hotel Navarra, a charming, stylish hotel with private parking in the centre of Bruges. Thanks to our private hotel parking, you will not have to worry about parking in Bruges. If the hotel parking is full, we will gladly show you the other public car parks in Bruges at walking distance of the hotel.